Muscle pumping is a side effect of exercising and it’s a sign that everything is going according to plan! Apart from an increased blood circulation in muscles, it has a positive effect on a person’s psyche, which you must achieve, if your goal is to maximise the growth of muscle mass. Why? More blood= more nutrients and more building material. Hyperaemia of muscles should be your primary goal during every period of exercise in the gym. If this does not work, there is a problem somewhere. 2 training system is incorrectly set. An increased circulation of blood is a very positive state. 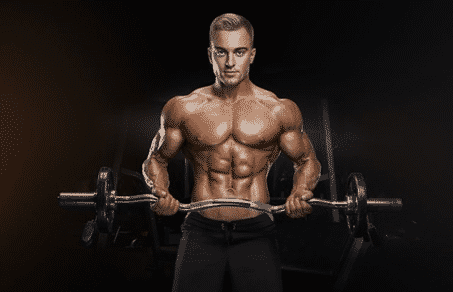 Apart from the muscles being bigger, a large amount of nutrients and muscle building material is being transported to the muscles that are exhausted by a tiring workout. If you think you are doing everything correct and are not able to pump blood into your muscles, only a special product aimed for achieving an increased blood flow in muscles can help get you retrieve this situation. You don’t know which is the best? Try reading something about the new WARRIOR CREA PUMP. You should keep in mind several things when buying products from the pre-training pump category. The market is overly saturated with all kinds of “magical” products. We recommend educating yourself, studying and looking for as much information as possible about what is best. We don’t sell things; we consider that approach to be counterproductive. The reason being because we know that after initial use you will choose them again, because the simply work. When creating WARRIOR CREA PUMP we relied on certainty, years, experiments, experiences of sportspeople and proven substances like Citrulline Malate, Arginine Alpha Ketoglutarate (AAKG from now on) and Agmatine Sulphate. Citrulline Malate – is an amino-acid used for the improvement of sports performances using its positive effects on hyperaemia. Citrulline supplementation decreases tiredness and increases the durability of the organism during a hard, long aerobic and anaerobic training. The refilling of citrulline increases the level of ornithine and arginine in the plasma. This contributes to the metabolism of nitric oxide, which leads to its increased production. A study from 2010 confirmed that a group of sportspeople that use citrulline before training made 50% more reps and encountered smaller muscle damage, than a group using placebo. Moreover, citrulline supplementation significantly decreases muscle pain during physically hard training and strengthens the immune system. 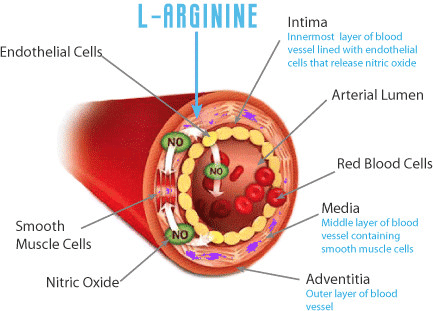 AAKG (Arginine Alfa Ketoglutarate) – AAKG is, like citrulline, a strong vasodilator which stimulates the organism to a higher production of nitric oxide. It increases the size of muscles thanks to a large amount of blood pumped into muscles. AAKG is a part of almost all pre-training products, because it’s simply an unbeatable substance! Nitric oxide, produced by AAKG in a larger amount expands the blood vessels and increases their diameter, which leads to a higher blood flow. This way you increase the transport of oxygen, nutrients, better glucose use and a faster removal of waste substances. It’s ability to positively affect the increase of libido is also worth mentioning. It increases the concentration of nitric oxide, increases the levels of the growth hormone and acts as a strong antioxidant. Agmatine Sulphate, AAKG and Citrulline are an extremely strong tri combination of the best for muscle pumping. Don’t look for anything better, because nothing better exists! Every dose is mixed in a way, so that you can gain the maximum from them! Your muscles will be full after a few minutes of training and this pleasant feeling will remain even after a few hours after training. Creatine is the TOP supplement of the last century from our point of view, and it remains at this position throughout this new millennium. It isn’t present in the WARRIOR CREA PUMP product just by accident. We combined two types. Magnesium Creatine chelate – by combining creatine and magnesium into this compound, the creatine is better absorbed than as a monohydrate. The main thing is, that magnesium is an alkalic compound, that functions against the acid environment in the stomach, which can lead to the degradation of creatine. The second thing is, that magnesium has several important roles in all sorts of physiological functions, including those taking part in anaerobic exercises. It plays an important role in re-synthesis of ATP. ATP strengthens muscle contractions and its increased levels mean a better performance, thus creating more impulses for the growth of muscle mass. 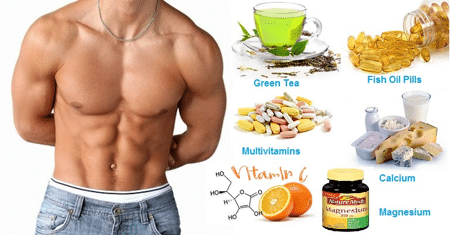 Tri Creatine Malate – is a compound created from monohydrate creatine and malic acid. As the name suggests, it is a compound of three creatine molecules bonded to a molecule of malic acid. It main effect lies in increased circulation of ATP levels (adenosine tri phosphate), which is directly responsible for muscle contraction. Scientific studies show that it helps increase the overall body weight, muscle size, durability, brain functions and body fitness. And that’s not all. 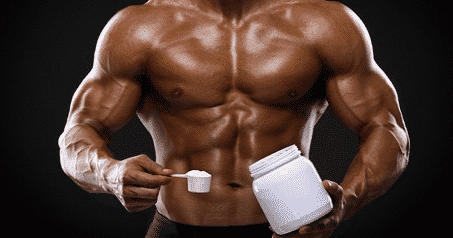 Creatine effectively helps increasing explosive power and keeps free levels of testosterone in condition. Tri Creatine Malate offers a higher biological availability as opposed to the regular monohydrate. Beta-Alanine – is the foundation stone of Carnosine, a molecule that helps increase physical performance in the range of 60-240 seconds. Beta-Alanine is a modified version of the alanine amino-acid. The experiences of sportspeople with this substance are such that Beta-Alanine helps increase muscle durability (on average, they are capable to do 2 more reps in each series). Increased levels of carnosine fight against pH decreases and protect the organism before the production of lactic acid. N-Acetyl L-Tyrosine – is an amino-acid that helps producing noradrenaline and dopamine. It postpones tiredness, increases mental awareness and concentration; it acts as a strong antioxidant. Nothing new, but traditional helpers that prove and continue proving their effects with their functional attributes. The best is hidden in purely natural things. Vitamins, minerals… small helpers with massive strength! The group of vitamins and minerals that are a part of WARRIOR CREA PUMP are carefully and accurately mixed so that they increase the effects of the main ingredients of the product and act preventively against cramps. Vitamins and minerals are substances that are important for the functioning of the human body. They help maintain a balanced metabolism in the body, they are irreplaceable for the correct functioning of organs, tissue, reproduction and growth. Because the human body can’t create all vitamins itself, it is necessary to accept them in our diet. The intake of these substances in an average diet is insufficient amongst the sporting population or overly stressed by their lifestyle. It is necessary to maintain the level using supplements. Don’t be fooled by others and trust in us. We know what is best for you, and that’s what we used in WARRIOR CREA PUMP. A juicy description of the best should follow in a tasty and substantial marketing game. You will not experience this. We have another bonus, so you know that it is truly important to us, what you will want to accept. WARRIOR CREA PUMP is made of substances that are natural in nature and without the use of health damaging additives (known as E-substances) and without artificial colours. Vegans, vegetarian and people suffering from lactose intolerance or coeliac disease. Thanks to having zero calories, it is suitable for the hardest diets, when it will be possible for you to train hard even with a lower calorie intake. If you will have more energy, you will be able to lose weight much more effectively and faster. Everything relates to everything. We also didn’t forget about things like taste and smell. Everything is pleasant without any unwanted smells. Try to train harder, more effective with muscles, best in the morning. The maximum daily dose is one scoop. WARNING: Do not exceed the recommended daily intake. As a supplement only. Suitable for healthy adults over the age of 18. Unsuitable for pregnant and nursing women. If you have any problems with your heart, high blood pressure, consult your doctor about taking this product. Store in a dry and dark place. Keep from children and pets.